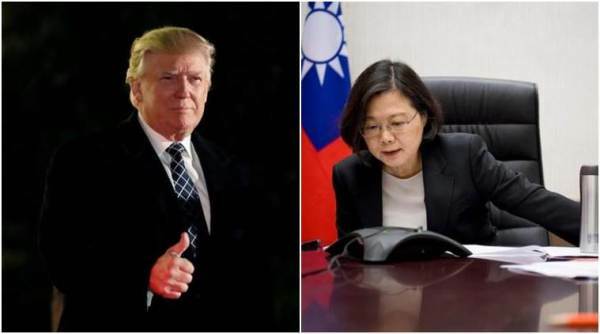 Catching up on old posting again, this time a piece for the Telegraph after Trump’s Taiwan telephone call and the implications on the relationship for China. Not a title I would have chosen if I am honest. Donald Trump’s assault on the basic assumptions of international relations continues. His latest broadside has struck China, with the President-elect refusing to bend to the “one China” policy which has governed the US-China relationship since President Nixon visited Mao Zedong in the 1970s. Yet while this challenge is fraught with risks of miscalculation, it also casts a light on the interesting potential that a President Trump administration offers – one where previously ossified assumptions that underlie international relations can no longer can be taken for granted. The current world order is one that favours China. Sitting in Beijing last year, I watched as one of the senior figures in the party happily recounted the scene at September 2015’s 70th anniversary celebrations to commemorate the end of the Second World War. Looking wistfully into the distance, he recounted how blue the skies were that day and how impressive China’s mighty army looked. Aligned next to him were various world leaders eager to highlight the proximity of their relationship with Beijing. For China, a country that has taken full advantage of globalisation and its massive population to turn itself into the world’s factory, the world order is working very well. Consequently, the arrival of Donald Trump, a leader talking of scrapping trade treaties and offering a newly assertive America, is deeply troublesome. China’s rise in the world under the shadow of a western-led liberal order focused on open markets had been a steady one. it was one in which China often rejected some of the same open principles that it was able to take advantage of in other markets. While it is relatively easy for Chinese companies to seek out opportunities in western markets, it is often nowhere near as easy for western companies to go into China. On the geopolitical stage, China has also managed to establish a consensus that asserts its advantages and interests, something most clearly on display with the international community’s relations with Taiwan. While many welcome relations with Taiwan, it is very much on Beijing’s terms. Taiwanese Embassies around the world are called “Representative Offices” while its officials are kept out of international institutions. Yet at the same time, the United States is bound by the Taiwan Relations Act to protect any assault on Taiwanese democracy. The most visible sign of this is arms sales, whereby the United States continues to provide the weaponry to ensure that Taipei is able to protect itself from an attack from the mainland. And yet, every time the arms sales are advanced, a delicate diplomatic dance is undertaken whereby Beijing complains, the United States refuses to bend, undertakes the arms transfers yet continues to acknowledge the “one china” policy. These past few weeks have started to upend the delicate diplomatic dance that underlies this transaction. Talking to people in Beijing last week, the overriding sense from President-elect Trump’s statements was one of confusion. Still unclear as to how much his commentary should be taken seriously, Beijing saw him reaching out through the appointment of a new Ambassador who had a personal history with President Xi as well as through messages sent through former Secretary of State Henry Kissinger. Yet at the same time, he spoke the language of confrontation through his actions with Taipei and running commentary through interviews and Twitter. Beijing is now uncertain where it stands, and has begun to realize that the assumptions that underlay the world order that it was quietly riding to steady growth are increasingly going to be challenged. It is entirely unclear how this is going to play out. This in many ways is probably President-elect Trump’s intent, aiming to establish a new bargaining point in negotiations with China. Yet the danger is in miscalculation. The Taiwan question for China is not one of international relations, but rather a domestic one. Consequently, the sort of horse-trading that might be possible in other fields will be harder if not impossible. No doubt this has been considered to some degree in Trump Tower, but it is not clear that these messages are getting to Beijing in the manner they are supposed to. If Donald Trump has miscalculated, it could mean a confrontation between two of world’s superpowers – with consequences that will impact us all. Slightly delayed posting of a new piece for my institutional home RUSI looking at how the UK should connect with Asia in the new Trumpian world. It struck me as interesting that while the US elected a President who spoke of isolation and scrapping treaties, the Chinese Premier tracked the new Silk Roads in China’s ongoing burst of international connectivity. Separately, spoke to the Guardian about the latest possible death of Mokhtar Belmokhtar. As the US appears set to limit its global involvement under President-elect Donald Trump and China intensifies its engagements across the world, an opportunity has arisen for Britain. It is one the UK government should seize. The contrast could hardly be greater: as the US voted in a president who has not committed himself to free trade and is keen on closed borders, Chinese Prime Minister Li Keqiang crossed the new Silk Road from China to Europe through Kazakhstan, Kyrgyzstan, Russia and Latvia, promoting precisely the opposite ideas. And with concrete results. In Gwadar, Pakistan, Prime Minister Nawaz Sharif and Chief of Army Staff Raheel Sharif watched as the first load of products to make the journey down the China-Pakistan Economic Corridor from western China leave for the seas. As America closes in on itself, Eurasia is opening up ever more. And the British government, which has not missed these trends, needs to develop a more strategic approach if it is going to effectively position itself to take advantage of them. In stark contrast to the apocalyptic vision of international relations which seems to be associated with US President-elect Donald Trump, China’s economy is pushing itself ever-more aggressively into the world. Chinese President Xi Jinping’s ‘Belt and Road’ concept has become an all-encompassing foreign policy vision, espousing trade and connectivity with talk of the ‘revival of silk roads’ and ‘connectivity’. Nowhere is this clearer than in Eurasia, where China is re-drawing the economic and geopolitical map, as it steers money, companies and people into re-establishing Eurasian continental links. Li’s tour in many ways mirrored Xi’s in June, when he travelled to Serbia, Poland and then Uzbekistan. And while the announcement of the first load of trucks making it from Kashgar in western China to the coast in Baluchistan was actually far more symbolic than economically significant, it did show how ‘Belt and Road’ connectivity rhetoric was producing results. It is on this divergence of global attitudes between a retreating US and a thrusting China that UK and other middle powers would do well to focus. A simplification, perhaps, but clearly something is fundamentally shifting and in a world of growing giants, the UK needs to focus on how it can best position itself against these shifting tectonic plates. The answer for London is a need for greater and closer engagement. With the US, it is likely too early to decide on how to deal with a Trumpian America. However, with China, the answer is to find ways to connect with this surge of Eurasian connectivity. At the same time, London has also to find ways of engaging more seriously with other Asian partners by taking advantage of the broader global shift taking place. Asia is a story of multiple rising giants, and the UK is well regarded by many of them. Britain has long under-performed in its engagement in Asian strategic and security affairs and now is the moment to take a more substantial posture on the issues that preoccupy its partners there. The current British government has already started to make noises in this direction: while Li was crossing the continent and the US was voting for Trump, Prime Minister Theresa May was in India and Chancellor of the Exchequer Philip Hammond hosted the latest Economic and Financial Dialogue with China in London. These moves need to be matched by a more serious engagement in regional strategic and security affairs. Both China and India realise their growing weight in international affairs and want to engage with the UK as a serious power, but are often concerned that London does not take their strategic concerns seriously. This is likely less true for China than India. However, at the same time, the fact the UK has such an enhanced and visible engagement with China is having a detrimental knock-on effect on other Asian partners for whom China is a competitor and antagonist. There are two important aspects from this for the UK to note. First, London needs to establish a more comprehensive and strategic dialogue with Asia. This means not just paying lip service to regional security questions, but playing a more forward role in engaging and understanding them. 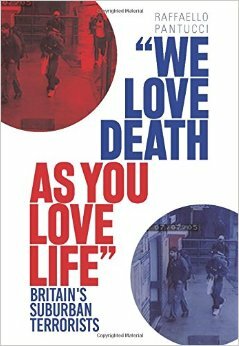 British diplomatic, analysis and security personnel across Asia and in government offices in London need to be enhanced and bolstered so that policymakers have a more substantial understanding of Asian dynamics and a demonstrable desire to engage in them. Second, the UK needs to move forwards into playing a more engaged strategic role. Rather than continuing as a passive observer of regional dynamics, the UK should move into a position where it can build on its existing relationships to play the role of regional peace-broker. To focus on Eurasia in particular: the current Chinese-driven surge of connectivity has the potential to be a collective net boon, but at the moment it is only partially working. Hiccups such as regional neighbours refusing to let products travel across their borders, or China being unable to resolve long-standing historical tensions, have hindered the smooth progress of the Belt and Road concept. If London stepped in to find a unique role as broker and diplomat between regional powers, it could help to encourage the aspiration of connectivity which serves a broader group of nations than just China. Looking at South Asia, the UK’s relationships with both India and Pakistan place it in a unique position to try to lower tensions. Admittedly not an easy task, and one that has been attempted in fits and starts for some time, but a more focused effort on both sides of the border might help show a level of strategic seriousness that the UK is accused of missing in its current pursuit of trade deals. By stepping forward to play this role – a position that may become vacant if Trump’s isolationist America happens – the UK will be able to carve a new role for itself in the world, one which benefits more from Asian growth without being too openly mercantilist. The UK has been somewhat rudderless strategically since the referendum in June to leave the EU. The election of Trump has further accentuated this perception, and there is a palpable concern about what might comes next. But the world has kept turning, and Chinese-driven Eurasian connectivity continues its inexorable surge. If the UK wants to truly benefit from this shifting world order, it needs to rapidly define where exactly it will sit and what it will bring to the table. Engaging more seriously and substantially in Asian strategic affairs would be an important place to start.